Manchester United are considering launching a summer bid for Sporting Lisbon midfielder Bruno Fernandes, under Ole Gunnar Solskjaer’s advisement. According to the Evening Standard, the Norwegian boss has discussed transfer plans with chief executive Ed Woodward, insisting that there is a need to add another high-quality midfielder to the squad’s ranks after Marouane Fellaini’s January departure. At the moment Paul Pogba, Nemanja Matic and Ander Herrera are the only natural options in the middle of the park, which leaves Pogba shouldering the majority of responsibility when it comes to creativity. ES reports that United have identified Sporting’s Fernandes as the ideal man to come in and aid the Frenchman, given his superb passing range, technical ability and penchant for scoring important goals. The 24-year-old’s statistics for the Portuguese giants this season reflect his unique talent, as he’s contributed 13 goals and 10 assists in 25 Primeira Liga matches. Fernandes is destined for a chance at the highest level and United may now be willing to grant him that opportunity, but they will have to fork out a huge £90 million fee to meet the release clause in his current contract – as per The Sun. 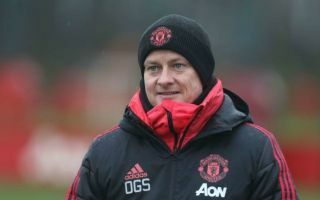 It remains to be seen whether or not Solskjaer will be appointed as the club’s next permanent manager, but he is being asked for his opinion on the best way for the club to proceed when the transfer market reopens. A key issue for the Red Devils this term has been the lack of a more conventional midfield playmaker, with Pogba producing his best work playing further up the pitch. Fernandes certainly has the attributes to solve that problem for Solskjaer’s side and United have the financial clout to pull off such a lucrative transfer swoop, but they may face competition from a number of other top European clubs. This particular story is one to keep a close eye on between now and May, with speculation set to increase as preparations for the 2019-20 campaign begin in earnest.